It’s a lesson I was taught back in high school by my English teacher. But it’s a lesson that extends beyond the confines of school essays, and should inform the day-to-day actions of your life. Black Friday is just around the corner and I’ve a question to ask of you. 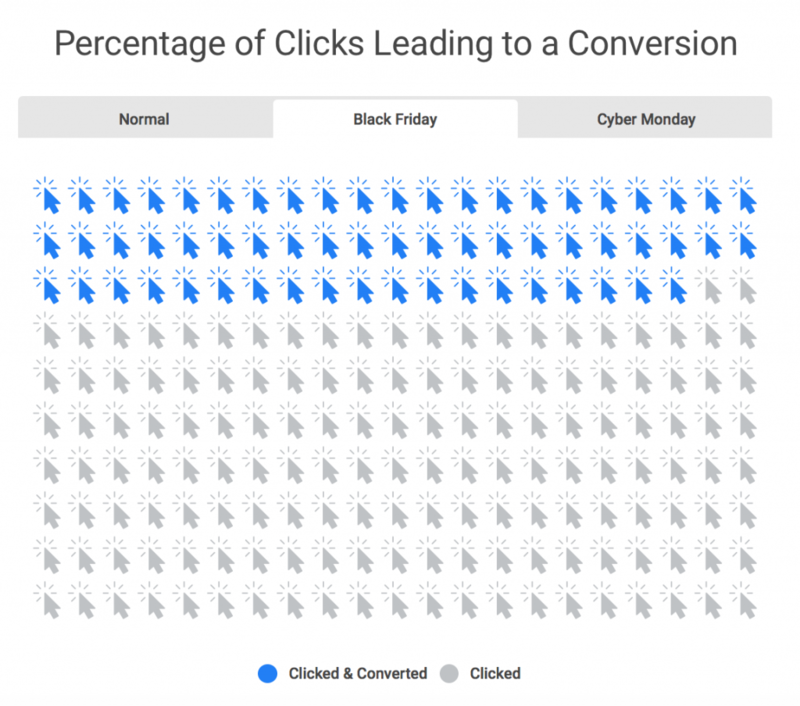 What do your Black Friday campaigns look like? Do you follow the quantity method so many other stores do and simply hope to increase the traffic to your page? Or do you focus on quality and try to convert more of the users your site is already attracting? If I look at the stores I’ve worked with in the past, they nearly all focus on the quantity method. They pay for extensive AdWords and Facebook campaigns, double down on content for organic traffic, and pay cold hard cash for influencer mentions and referrals. These can be great ways to increase revenue, however, that ad spend eats into your profit margins. Not to mention these traffic driving quantity methods ignore the biggest problem in ecommerce. It’s an issue that affects all ecommerce stores and costs the industry trillions of dollars in lost revenue every single year. And no matter how many visits your store gets, traffic generation isn’t going to solve the problem. 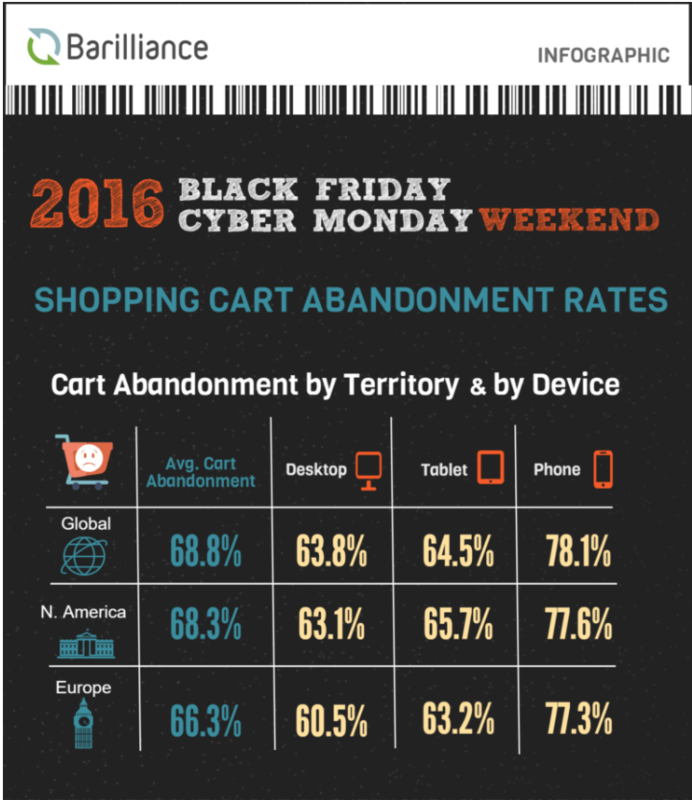 That’s the percentage of abandoned carts from Black Friday weekend last year. Let thank sink in for a minute, cause that is a huge number. For every $100 worth of product that’s being added to your cart, only $32 is making it’s way to your bank account. Whilst traffic can increase the value of that 32%, it’s a comparatively inefficient method of doing so. To increase the value of that 32%, you have to spend vast amounts of money in the first place, driving down your overall profit. The more cost-efficient method is to recapture the 68% who fail to convert. Not only is it going to cost you less money to convert these users, but it’s also far easier to do so as they’re warm leads familiar with your business. So, let’s look at a few methods you can employ that’ll not only save you money but will also help you make more money. A couple of the retargeting options I’m going to discuss later rely exclusively on your ability to know what to say to your customers. The first is your Facebook Pixel. This is going to be key in making sure we serve the right remarketing ads to your users and that they’re related to their browse history. 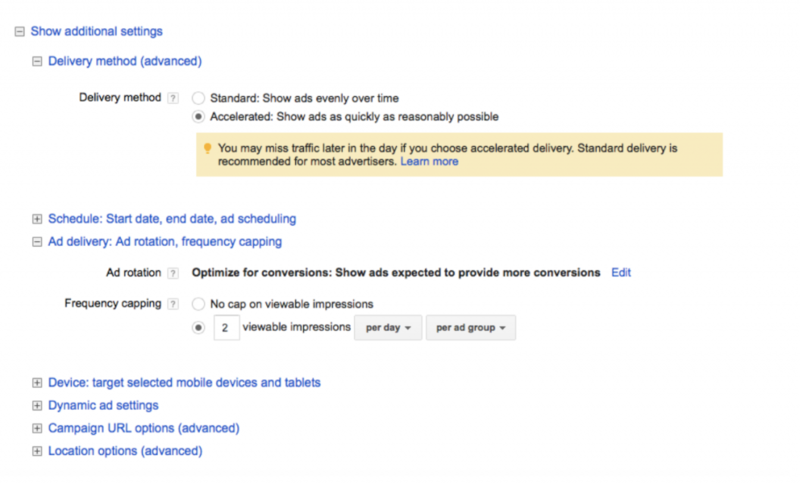 The second is more complex, but equally as important – setting up Google Adwords tracking. It’s quite an involved process, so rather than waste time here walking you through that, I’ll link to this cracking guide from the guys at Clicteq.com. Now, onto some actual strategies you can start employing today. Email is currently the ROI king. There’s a new challenger to that crown, but as of right now, email still reigns supreme. Collecting the email addresses of users who land on your store isn’t optional. It’s something you have to do. Something that could make the difference between a lost sale, and a chance at recapturing a huge amount of otherwise lost revenue. I’ve listed a couple of methods you can implement to capture the email addresses of users below, and also added in a couple of optimization tips. As soon as your visitor shows an inclination that they’re going to leave the site before they purchase, hit them with a popup that offers a benefit of taking action. That incentive is key to driving more sign-ups. Without it, they’ve no reason to stick around and no reason to give you their contact details. However, I’d argue against a flat fee money off incentive across your store as it could eradicate the profit margins for lower-priced products. Yieldify offers a great example of awesome exit-intent incentives. They explain how users were served different incentives relevant and based on their basket value. This smart tactic helped them attain a 99:1 ROI for that campaign. Exit intent is something of a last-ditch attempt to gain a conversion. You’re waiting until the user has pretty much lost interest before offering a half-baked apology in the form of a money off incentive. It works, but it’s not the best you can do. 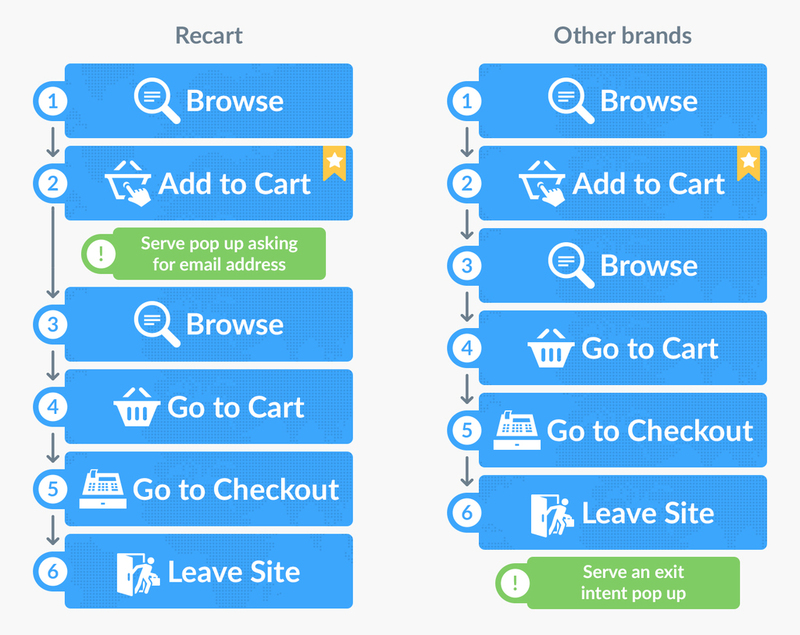 Through a little testing at Recart, we found that an add-to-cart popup drove far more conversions (around 62%). We attributed it to acting when purchase intent is highest. We waited until a user added the item to their cart before immediately hitting them with a popup that presented the next stage in the journey for them (signing up). 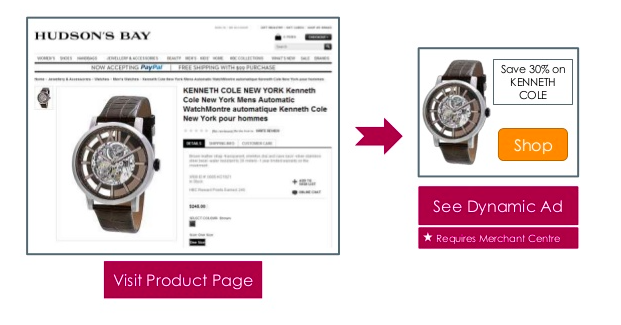 Recart’s add to cart popup is triggered when purchase intent is at its highest point. Targeting the highest point of purchase is a simple way to increase overall conversions. Once you’ve collected the email addresses of abandoners, you’re able to continually chase them up and secure the sale they’d abandoned. How you do it is up to you, but some time back I put together a basic format for Crazy Egg I’ve included below that may prove a good starting point. During the Black Friday – Cyber Monday weekend, the concept doesn’t change much. You still want to offer frequent reminders, followed emails explaining the benefits. However, with Black Friday the offer has already been stated, so you’re going to have to change that final email. It should focus on is reiterating the deal, however, you should also couple it with the scarcity element intrinsic to Black Friday. Remind users how long they have left to take advantage of the deal before missing out on the saving. I’d also recommend sending a few more abandoned cart emails than usual. Salecycle reported a 312% increase in email sends over Black Friday last year, however, explain that the conversion rate stayed the same which would mean an approximate 312% increase in conversions. Email is, right now, the king of ROI and you really need to be taking full advantage of it over this weekend. Don’t be afraid to hit your users with a couple more emails than usual. It’s only for one weekend and, according to Salecycle, conversion rate wasn’t affected despite the increased send rate. Email is still the ROI king, that much is true. However, Messenger apps are closing ground and, in many areas, outperforming email. We’ve been doing extensive testing of Messenger at Recart and discovered the below. Whilst we’re pretty confident in the future of Messenger, I should mention I don’t think it’s ready to overtake email just yet. Email still has the upper hand in areas such as advanced segmentation and ongoing promotion options. The most important difference is that you own your email list. No change in policy can affect that, no other brand can revoke your access or privileges. We wouldn’t recommend you abandon email in favor of Messenger, rather that you use the two side-by-side. That you take the engagement benefits Messenger provides in the short term, and make full use of email’s benefits over a longer period of time. To get your Messenger abandonment campaign started, we’d recommend a very similar sequence to the email one outlined above. However, once again I’d say you should experiment with more frequent sends over the BF-CM weekend. Just double check with Facebook policy to ensure you’re not breaking any of their rules and risking your Messenger privileges. Email and Messenger work when you collect user contact details, however, sometimes people don’t opt-in to hear from you. Sometimes users check out the product but take no action at all. Don’t worry, these people aren’t lost to you forever and are still prime conversion targets. If you set up the tracking I mentioned at the beginning of this piece, you can serve them specific ads that bring them back on site to the products they checked out. Let’s begin with Facebook Ads again. 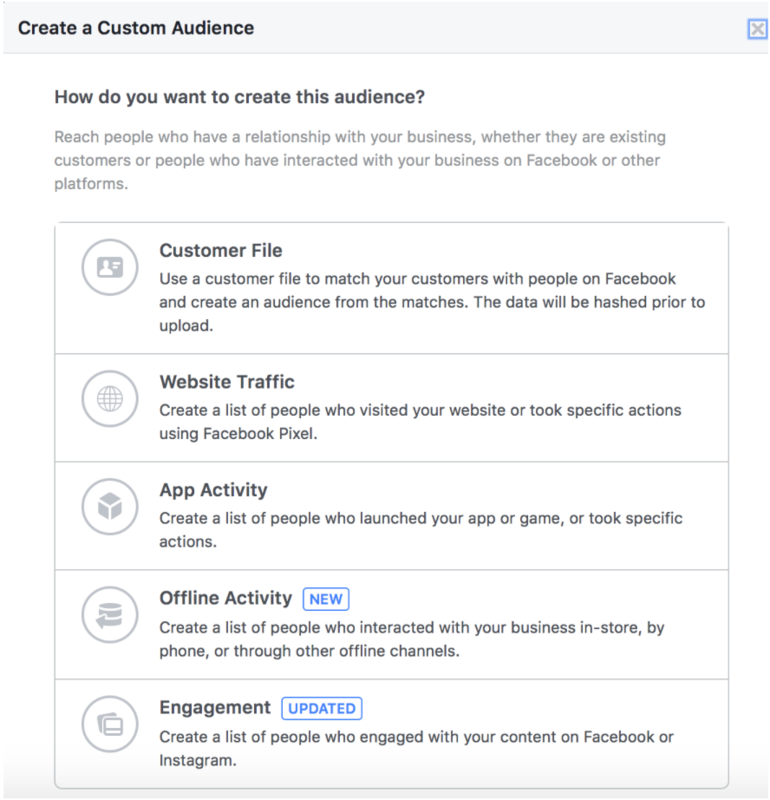 If your tracking pixel is picking up data, you’ll want to head to the audience section of Facebook Ads management where you’ll see something like the below. For our purpose, we’re going to want to choose the website traffic option. 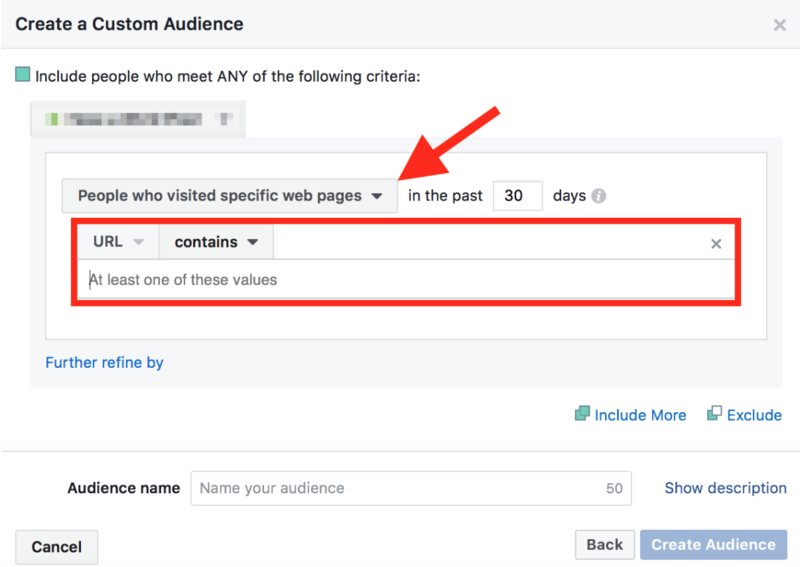 When you’re prompted to create the audience, you want to change the focus to “people who visited specific web pages”, and in the URL box add in the correct URLs. Depending on the type of targeting (and the time you have) you can either target specific elements of your audience who only look at certain products, or go a little more general and target those who looked at products within a category. You should also further refine the options to omit those who made it to your thank you / confirmation pages. To get the most out of this remarking method you want to create custom ads for each category or product. You want the ad to remind the user exactly what they’re missing out on so don’t forget to mention the Black Friday sale, the impending end of the sale price, and of course how long left they have until it’s back to full price. To bolster this, I’d also recommend running some AdWords display network ads. I linked earlier on to a great guide from Clicteq about setting up your display ads for abandoners. I’ll leave most of the explaining to them, but I will ad with a few thoughts of my own beginning with something very important. Don’t rely on dynamic ads alone. Dynamic ads are great for any other time of year, but Black Friday is an aggressive period of shopping. Set up a specific audience solely for Black Friday that begins collecting data 24 hours before the sales begin. This will allow you to get really aggressive with the bids and serve Black Friday specific ads to those people. 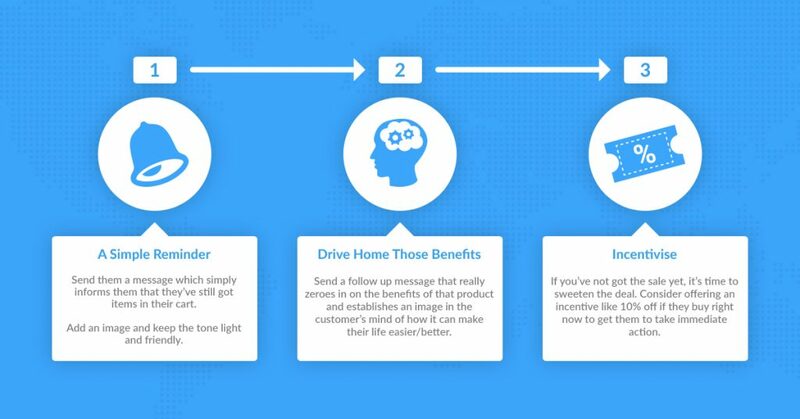 Make sure that when you set up your campaign the delivery method is set to accelerated. You’re trying to make sales before the weekend ends and you want the ads to get in front of people ASAP. Use static images, not dynamic. Again, you want these ads to really speak to the harsh time limit, and so you have to forego Google’s automation and focus on the scarcity of the product. Start winding down immediately after Black Friday – Cyber Monday. If you’ve set up the campaigns specifically for this season, don’t waste cash by continuing it after the sales have ended. If you can get these display ads right, your users will see ads just like the below. That’s pretty much all I wanted to cover today in terms of remarking. However, before I go there is one more thing I want to say. Implementing some smart retargeting strategies is the best way to make the most out of your brand’s current efforts. They’re comparatively cheaper than simply driving traffic, and take advantage of what are then warm prospects for you. However, it’s not just something that can be beneficial across the Black Friday weekend. Obviously, many of these campaigns can – and should – be run at any time of year. 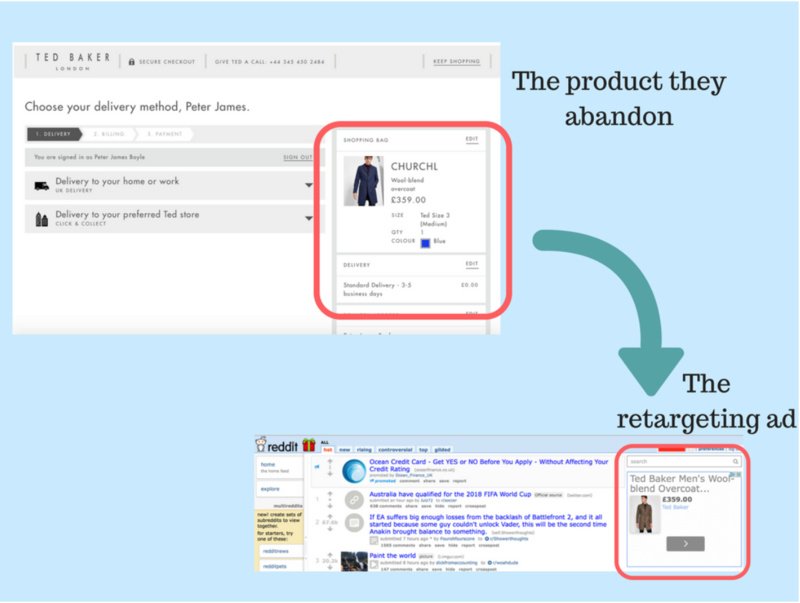 But you shouldn’t view retargeting as just a simple method to recover lost revenue. It’s far more than that. A smart retargeting strategy builds relationships. It forms a foundation to build on with your customers. It’s the gateway to an increase in trust and a more stable relationship which, in time, will lead to repeat sales and higher average order value. If you’ve not yet got your Black Friday campaigns underway and you’re panicking about covering all bases (or if Black Friday 2017 is a far gone memory now and you simply want to recapture more lost revenue), sign up for a free Recart account. There’s a tonne of easy to implement push-button solutions that’ll have you recapturing revenue before the end of the day.